Richard Walsh and Associates are totally dedicated to our clients. We work hard to understand your business, how you operate and what you are trying to achieve. 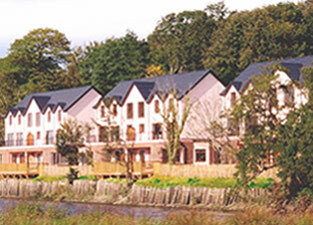 Richard Walsh and Associates provide a full Quantity Surveying Service including Value Management and Life Cycle Costing to the complete spectrum of Business / Retail / Commercial, Ecclesiastical, Hotels and Holiday Homes, Educational, Industrial, Recreational, Residential, Healthcare and Public Sector Clients. Quality performance is a total commitment to excellence by Richard Walsh and Associates employees. Our teamwork and the process of continuous improvement achieve this. It is our policy to provide high-quality services, which consistently meet or exceed the requirements and reasonable expectations of our clients. Through awareness of client’s needs and teamwork in every function of Richard Walsh and Associates we aim to meet this policy on all our projects. Richard Walsh and Associates have implemented Excellence Through People, Ireland’s National Human Resource Management Standard.